The strongest earthquake of the day so far, is this 5.0R arriving earlier today in the Fiji Region, as shown on the map, at [18.09S, 178.19W]. 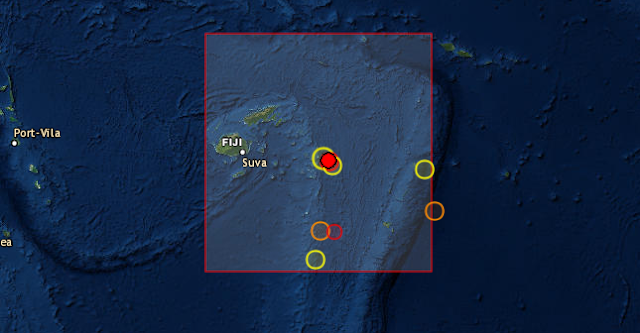 We expected this event and our prediction was for Fiji [19S, 179E,W]. Excellent accuracy.